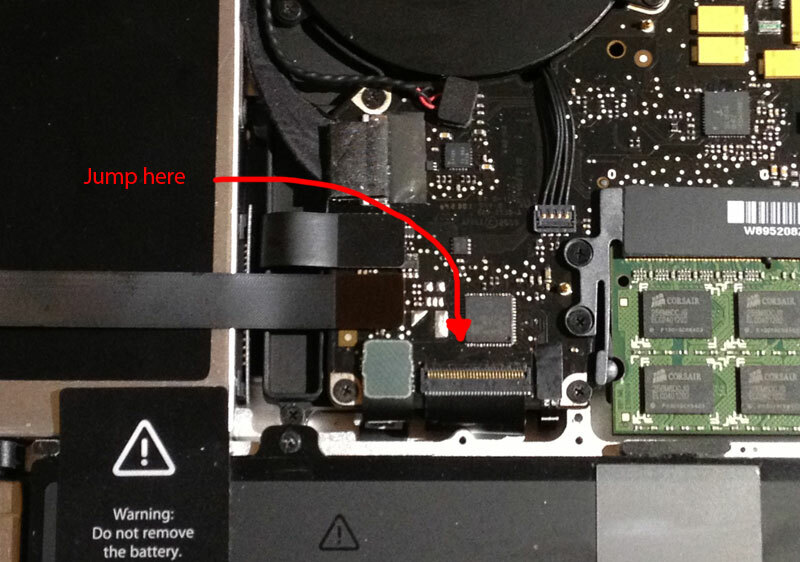 The other day I spilled naked juice on my macbook pro, I immediately shut it off, and dried it out. I quickly wiped it off with some isopropyl alcohol and let it dry overnight upside down. I waited about 2 days. I took the laptop apart, looking for any signs of liquid damage, luckily there was none. It did smell fruity tho. I even checked the logic board to see if there were any issues. None. So I put the laptop back together and pressed the power button. NOTHING. I did a quick search online, found iFixIt…I’ve known about them for a long time, and usually use their site as a way to see the basic steps of how to disassemble. Looked around and found that its possible that only the keyboard shorts, and if that happens then the power button wont work. There is a way to jump the keyboard so that the laptop will turn on. On the keyboard connector, near the middle there are 2 pins that you just have to jump together, I used my screwdriver to do it. And miraculously my laptop turned on. Awesome. 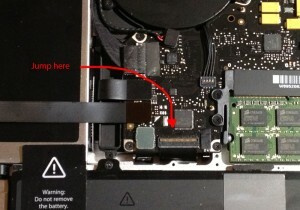 My trackpad was still working also. I looked further on the iFixIt site, and they only sell the full upper assembly for $299, and not the individual keyboard, I don’t need the full upper assembly because only the keyboard is shorted, not the trackpad. So I looked online and found some keyboard replacements for $30. I went with PT Supermarket, the website looks kinda sketch, but we’ll see how it goes. EveryMac – you can search for your computer model by serial number. This is how I verified that the keyboard model would work in my laptop. and the Keyboard (A1278) matches.